Birchwood is on a sloping site with a backdrop of hills in a farmland landscape. 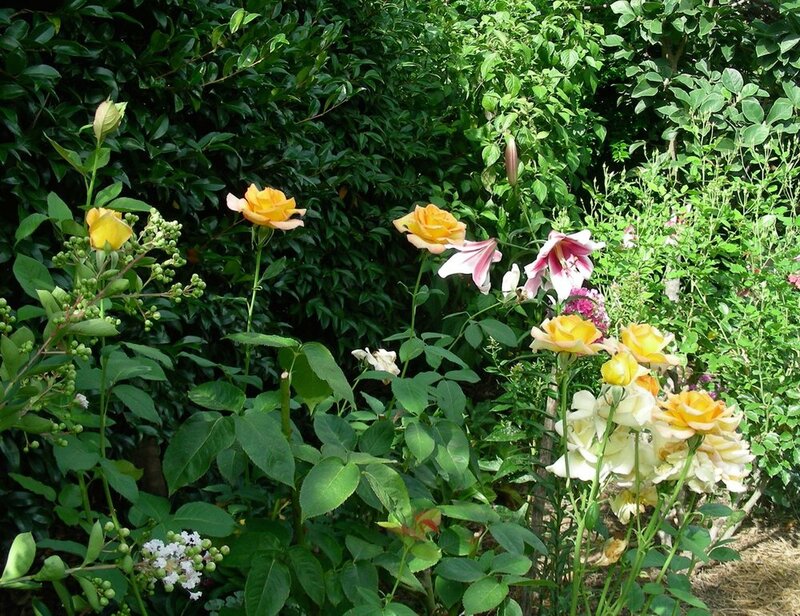 Spring, Autumn and Summer are all seasons that the garden shows to advantage. Garden clubs, garden lovers, Probus, horticultural associations, family groups, U3A groups and special event planners are welcome to book a visit from September to May. Autumn is the best time of year to see the salvia collection in full colour, deciduous shade trees in Autumn glory and flowering perennials and dahlias. There are over 200 different salvias at Birchwood with many flowering most the year. Dahlias are prominently featured. Summer is the season of lush growth, vibrant contrasts and shaded spaces with trees, roses, perennials, liliums, daylilies, salvias, annuals, and dahlias beginning blooms in February. Areas in the garden are themed making each area distinct. In Spring, tulips, daffodils, watsonias, dutch iris, cliveas, salvias and annuals provide a colourful display. Flowering blossom trees and deciduous trees spring into bud providing colourful backgrounds. Peonies and bearded iris advance into spectacular displays in late October through November with roses and asiatic liliums in full bloom in November. Rest Rooms: Molyullah Hall outdoor facilities are prepared when more than 80 people are expected at one time. There is a wheelchair toilet there. (Turn onto Main Road Molyullah.) The Open Garden October 2018 had a porta-loo in the garden with infirm visitors welcome to use the house toilet which has rails. Access: At Birchwood, infirm visitors using walking frames find the garden accessible as steps can be avoided by using alternative paths. Wheelchairs require a strong personal carer as some of the slopes are a little steep. All of the garden is accessible.